The objective of this study was to gain insight into the process that occurs when young people establish positive emotional relations with staff in ‘treatment collectives’ in Norway. Eighteen young people living in two social pedagogy-based treatment collectives were interviewed regarding their relationships with the treatment staff. Because positive relationships have been shown to be of great importance for the outcomes of treatment, this study’s main objective was to obtain insight into what the young people found important when establishing such relationships with staff members. Our findings suggest that certain of the collective’s structural factors and staff’s personal factors contributed to the establishment of positive youth–staff relations. The main structural factor is that the core staff are resident with the young people, and the resulting continuity and trust this engenders. The main personal staff factors are attention, persistence and genuine personal affection shown for the young people in their care. When interventions harm: Peer groups and problem behavior. Premature adolescent autonomy: parent disengagement and deviant peer process in the amplification of problem behaviour. Premature autonomy describes a developmental dynamic where parents of high-risk adolescents reduce their involvement and guidance when confronted with challenges of problem behaviour and the influence of deviant friendships. This dynamic was tested on the sample of Oregon Youth Study boys (N=206), whose family management practices and friendships were observed on videotaped interaction tasks. Latent growth curve models were used to examine longitudinal trends between deviant friendship interactions and family management. Direct observations of deviant friendship process at age 14 were associated with degradation in family management during adolescence. A comparison of antisocial and well-adjusted boys clarified that parents of antisocial boys (started early and persisted) decreased family management around puberty, in comparison to parents of well-adjusted boys who maintained high levels of family management through adolescence. In predicting late adolescent problem behaviour, there was a statistically reliable interaction between family management degradation and deviant peer involvement in adolescence in support of the premature autonomy hypothesis. Adolescent males involved in deviant friendships, and whose parents decreased their family management, were most likely to use marijuana and commit antisocial acts at age 18. The implications for interventions that target adolescents are discussed. Role of the working alliance in the treatment of delinquent boys in community-based programs. Examined the role of the working alliance in the treatment of delinquent boys in community-based residential programs, clarifying the relation between therapeutic process and behavioral change. Horvath and Greenberg's (1989) Working Alliance Inventory was used to assess the therapeutic alliance between youth and staff after 3 weeks in treatment and again after 3 months. Achenbach's (1991) Child Behavior Checklist (CBCL; Youth Self-Report [YSR] and Teacher Report Form [TRF]) and recidivism scores were used to assess treatment progress and outcome. Results indicated that a positive working alliance assessed after 3 months in treatment related to positive psychological changes and predicted lower rates of recidivism. Unexpectedly, a positive working alliance assessed early in treatment was associated with negative outcomes (increased internalizing and externalizing symptoms and higher rates of recidivism). This finding suggests that for some delinquent youth initially optimistic assessments may be prognostic of slow progress or treatment failure. Abbreviated Title: Int. J. Soc. Pedagog. Copyright statement: © 2018, Arvid Lone and Erik Paulsen. This is an open access article distributed under the terms of the Creative Commons Attribution License (CC BY) 4.0 https://creativecommons.org/licenses/by/4.0/, which permits unrestricted use, distribution and reproduction in any medium, provided the original author and source are credited • DOI: https://doi.org/10.14324/111.444.ijsp.2018.v7.1.002. How to Cite Lone, A., & Paulsen, E. (2018). 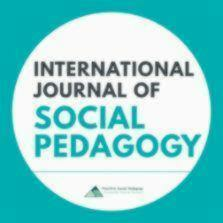 Factors in establishing positive youth–staff relations in social pedagogy-based Norwegian treatment collectives: A study of young people’s impressions and experiences. International Journal of Social Pedagogy, 7( 1): 2. DOI: 10.14324/111.444.ijsp.2018.v7.1.002.